Houses & Homes VA: Richmond Makes the Forbes Top 10 List! Richmond Makes the Forbes Top 10 List! As some of you may already know I recently decided to open a second office in Richmond. There were many reasons that I finally decided to make the big move and to be honest I’ve never been one to back down from a challenge! 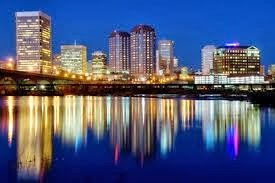 I love Charlottesville and have no intentions of leaving but I can much better serve my clients by serving both markets. I knew that opening an office in Richmond was a sound business decision and I was thrilled when just this week I discovered that Forbes magazine has ranked Richmond, VA as one of the top 10 cities for entrepreneurs! Richmond has come a long way in a very short time and is becoming quite well known as a city which offers an above average quality of life. It is now recognized for its contributions to the art community as well and businesses are reaping the rewards of the many tax incentives now being offered to start ups. Richmond has already gained an impressive reputation throughout the academic community as a result of many fine higher learning institutions (including the Virginia Commonwealth University and the University of Richmond) but it seems that the fine city’s good fortune continues to be on the rise. The sky is the limit for Richmond and I am excited to be a part of its growth and prosperity. You’ve heard the saying “timing is everything”? Well, it seems I could not have timed my move any better than this! Congratulations to the fine city of Richmond and cheers to your success!